Scout: Thanks for taking the time to tell us a bit more about yourself and share your story. The purpose of this email interview is to educate our readers on setting up profitable online stores. I understand you started off with a brick and mortar physical retail location and then this year moved to supplement in-store sales with online sales. Marcus: Thank you for the opportunity to share. And yes, we started our brick and mortar in 2015, and in May of 2017 went online as well. M: Shopify. When we compared other platforms, we liked that Shopify’s backend is more comprehensive, and had lot’s of supportive 3rd party apps. S: Why did you start Big Brain? Where did you get the idea to sell eco-friendly furniture products? M: My family has been working in the furniture industry for more than 20 years. We used to be in the traditional wholesale and retail business. In 2015, I spent some time surveying the furniture market, and I realized we have to make some changes due to the customer’s buying behavior, market trends and my own life preferences. This is the reason why I started Big Brain. 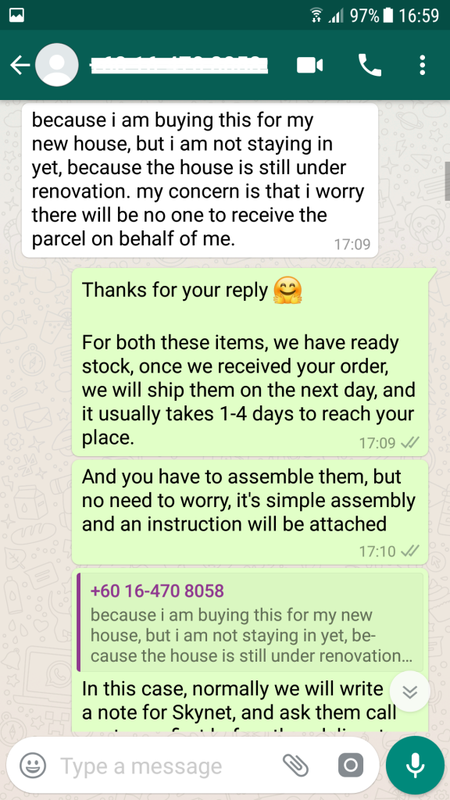 Now we’re designing and sourcing unique furniture from around the world and selling to our customers, instead of purchasing goods from the big chain suppliers, which always brings us into price war, and customers are tired of same furniture design in every local furniture store too. Our environmental commitment is unique to the industry because our whole way of doing business is unique to the industry. We ship furniture directly from the factory to the store. No warehouse, minimal packaging, quality and eco-friendly materials. We’re changing the way furniture is bought and sold, and the Earth is a better place for it. People care about the environment, and we care about those people, that’s why we make every business decision with the environmental concern. S: When you first launched Big Brain, did you have an audience to sell to right away or did you build your audience as you went? How have you continued to build your customer base over the years you’ve been in business? M: No job is easy in the beginning. We over-expected business at first, and we made some mistakes in marketing. We lacked good ideas for marketing. We spent much money in the wrong way, like advertising on offline media, which wasn’t bringing us much traffic at all. Until Feb 2017, I spent three months doing online marketing courses, including social media and search engine, and also learnt from some Shopify store owners and marketing experts. That process was really helpful. 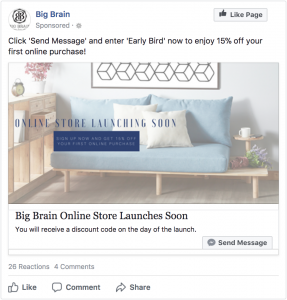 Big Brain offered discounts to customers who engaged with them through Facebook chat before launch. S: How have you approached your marketing strategy? Does your aim to provide excellent customer service play into your marketing strategy? M: The main channel is Facebook. I also chat with customers day and night, at every available moment of the day. Customers do appreciate this, especially because they are buying important items for their home. S: The furniture market is well saturated with other brand name businesses, how do you make your products stand out in the market? How do you differentiate yourself from your competitors like Ikea? M: We fill our homes with pieces that we are drawn to. Our homes are invested with our passions and our personalities. So much creativity goes into making a home beautiful and meaningful. For many of us, this is an ardent pursuit. 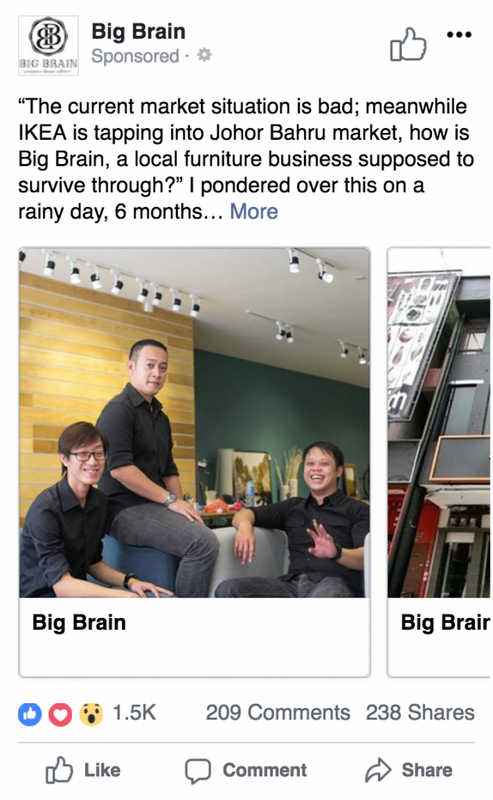 At Big Brain, we understand this desire, but we realize that it can be tricky to find great furniture at the right price. We think the high-end and expensive designer brands give the consumer a raw deal. That’s because everyone along the way takes a cut, from brands to wholesalers and landlords. So we’re taking on the high-end retailers to offer you timeless, designer furniture at affordable prices. We can do this because we source direct from the manufacturer, no middle-men. We also stay on top of new designs and will often work with our manufacturers to build these new designs. And finally, we’re open seven days a week, and provide chat-based customer service after-hours too. M: My traffic and sales are generated from Facebook Ads (90%) and Google Adwords (10%), placing ads on both works well for my store. S: It seems you sell both directly to consumers through your website, but also through your retail location. How have you balanced serving both markets, have there been any unique challenges involved? M: We are happy with our decision to expand our business to an Online-to-Offline (O2O) marketing model, it is a trend for our industry. We’ve gained more revenue by marketing to customers, not just relying on them to find us. Without our online store we couldn’t do this. And having an offline store gives customer’s confidence in our brand because we also operate with a physical showroom. 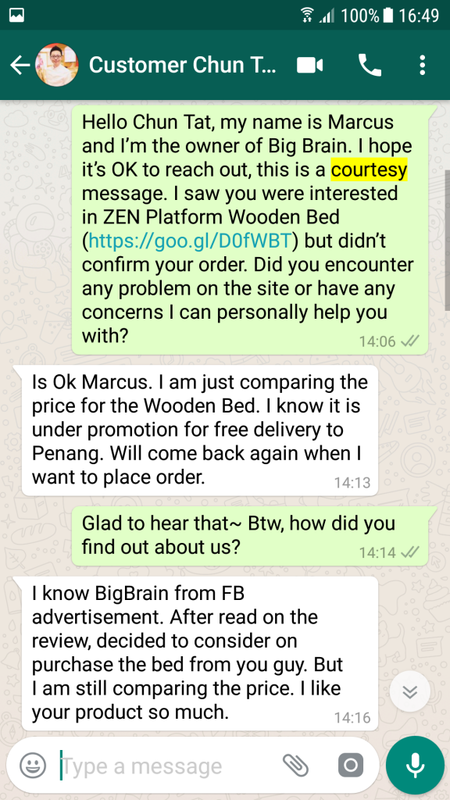 We are new to online business, and Big Brain is a small business. I’m the one and only person who is responsible for creating and managing the online store, communicating with customers, arranging shipments, online marketing, so it is a big challenge for a guy without IT background. But I enjoy the journey, and I really appreciate the experts who are sharing their experience and apps which help us to grow. S: What’s the best tool you use to stay organized with Big Brain? M: For marketing, it is Facebook. And for operations, Shopify backend with tons of app support works for us. S: Of those apps you’re using, what core tools or resources have you used to grow Big Brain that you wholeheartedly recommend? M: Scout — Scout provides real time update when customers abandon their shopping cart, and most importantly, Scout’s call script really helps me a lot to approach customers and recover sales. 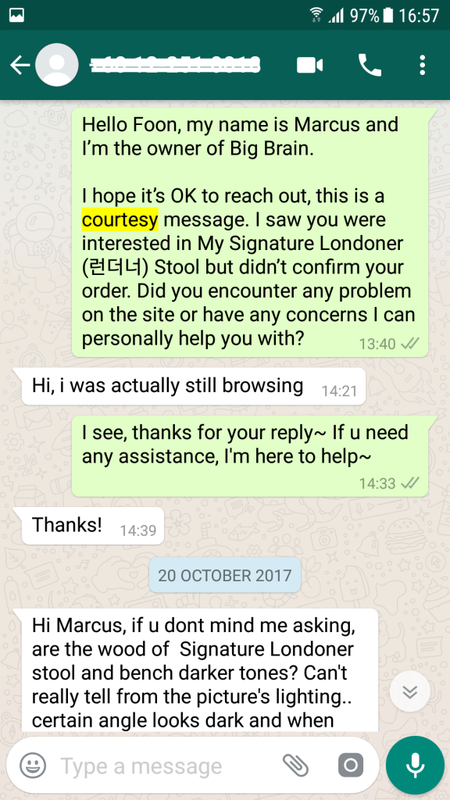 Almost all customers feel surprised when I contact them, and they feel valued. 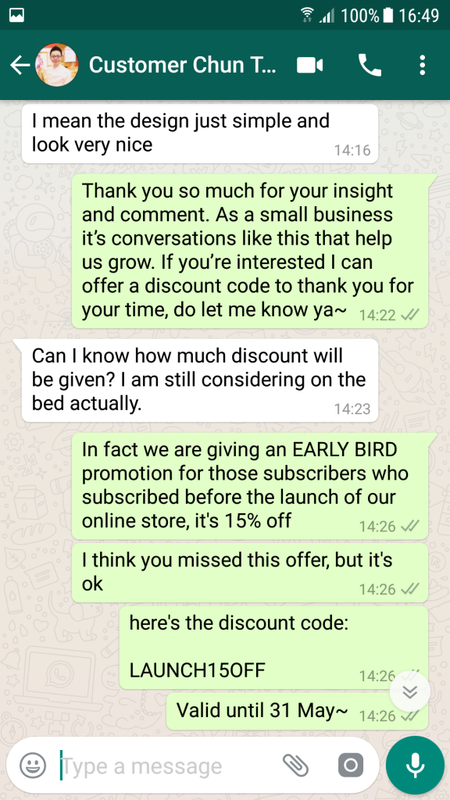 When I contact through Whatsapp I recover about 70% of the sales from customers who reply. Conversio — Conversio provides one-stop marketing solution including newsletter, discount code generator, customer feedback, receipt and recommendation, and their staff is supportive. FOMO — Social proof is important. With Fomo, when customers are browsing your online store, a pop-up window continuously reminds them who, when and where your items sold to, give them much confidence to purchase at virtual store. Parcelify — Honestly, Shopify still needs much improvement on their shipping setting, especially for store owners from outside US, and Parcelify helps me to create custom shipping rates, a wonderful problem solver. S: Furniture is large, and can be expensive. Large and expensive products have a high abandoned cart rate. So when it comes to managing cart abandonments, how do you use Scout to engage directly with customers and recover revenue? M: Scout has been really useful. 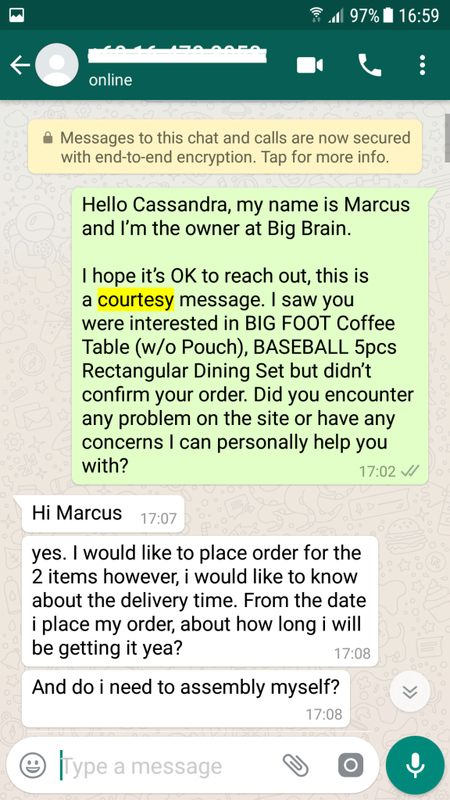 Scout provides me with a call script, Whatsapp messaging script, and email script for me to approach customers. 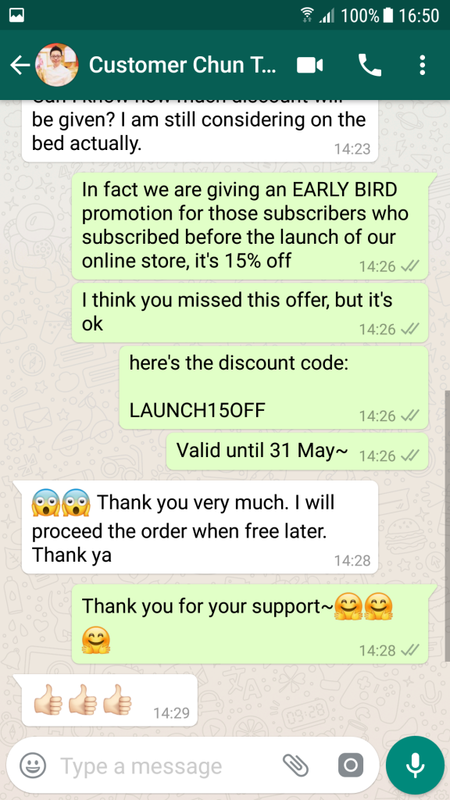 In Malaysia, we are used to keeping in touch with apps like Whatsapp, so I will copy the call script and paste it into Whatsapp message and send to customers, and continue the conversation based on Scout’s suggestion. The Scout script is written in a very good way, ‘I hope it’s OK to reach out, this is a courtesy message’ it feels respectful and polite. 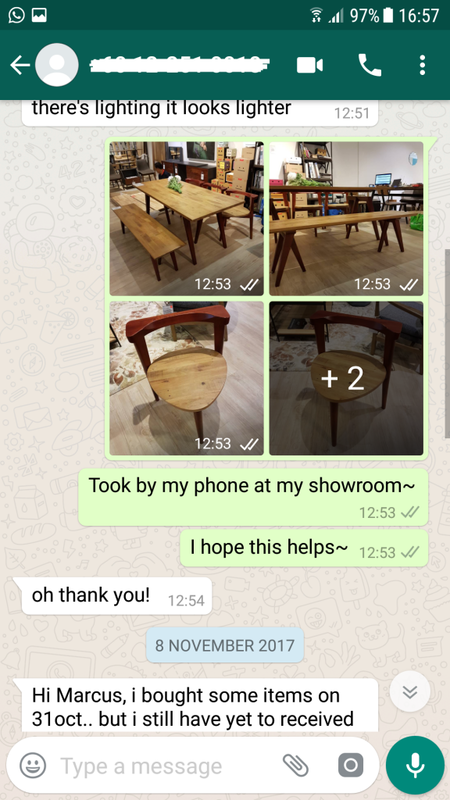 Whatsapp also allows me to send images to customers, and it’s just such a richer relationship building experience. S: What’s your business’ biggest challenge right now? M: I wish I could synchronize everything between my physical store, online store and other online marketplace. For now it is totally a mess and I’m still looking for an expert to work with and solve the problem. Right now I have to update product details, inventory one-by-one, manually, which takes a lot of my time. M: Setup my own online store, no doubt! M: Ah Shek, a lecturer from Online Marketing Player (Hong Kong), taught me a lot about Facebook marketing, I learnt almost all my Facebook marketing know-how from him. M: Traffic and sales won’t come to you automatically, marketing strategy is the key of success, so make sure you plan well to market your products and/or services, and keep learning from other successful entrepreneurs.